Maytag never strays from a focus on better-built equipment that delivers remarkable reliability, day after day. With Maytag your commercial laundry will raise the bar with user-friendly and energy efficient dryers. The Maytag MDE18MN is a commercial electric dryer, with an extra-large capacity of 9kg. 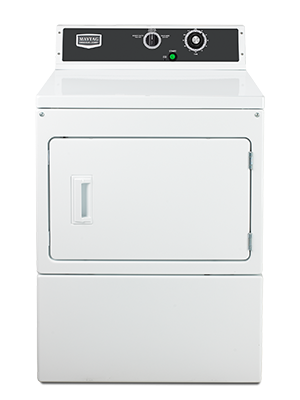 The dryers are built with the legendary Maytag dependability; every part, whether it’s a door, drum or drive shaft, is up to the job.